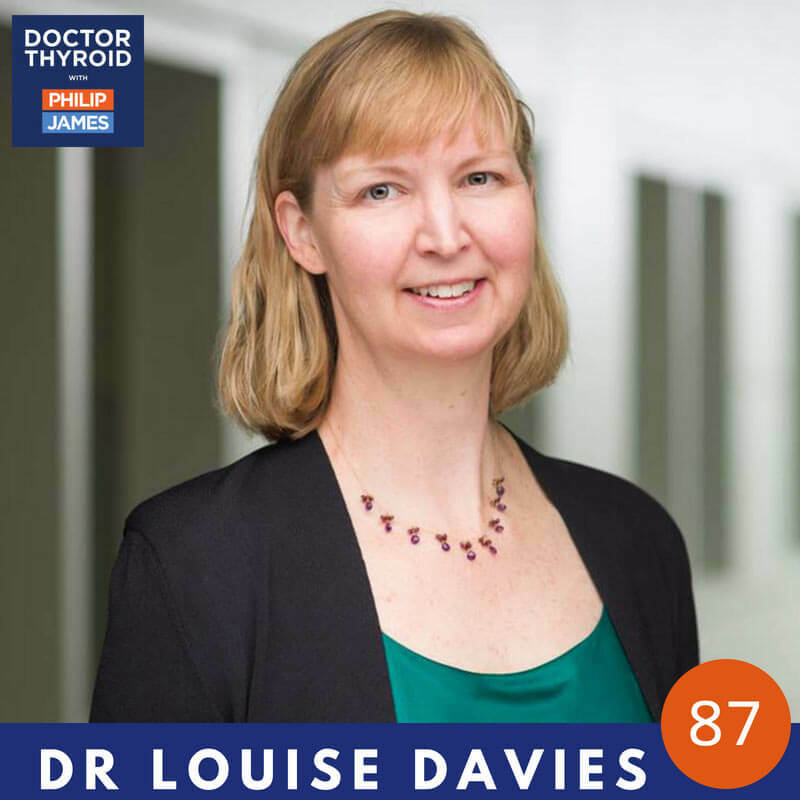 The past year has been fascinating and highly fruitful year for Dartmouth Institute Associate Professor Louise Davies, MD, MS. A 2017-2018 Fulbright Global Scholar, Davis spent several months in Japan at the Kuma Hospital in Kobe, Japan, studying the hospital’s pioneering surveillance program for thyroid cancer. Davies, the chief of otolaryngology-head & neck surgery-at the Veterans Affairs Medical Center in White River Junction, Vermont, has researched U.S. patients’ experiences of monitoring thyroid cancers they self-identify as overdiagnosed, and has found that such patients often feel unsupported, even ostracized. Following her stay in Japan, Davies, who also develops and teaches courses in qualitative research methods in Dartmouth Institute’s MPH programs, spent several months in the U.K. at the Health Experiences Research Group (HERG) at Oxford University. There, she learned skills that will help her develop web-based materials to raise public awareness about surveillance, surveillance programs, and overdiagnosis in general. As if the year wasn’t packed enough, Davies also visited the site of the Fukushima Daiichi nuclear power plant, site of the 2011 nuclear accident in Japan. Unrelated to her Fulbright work, Davies is a member of an international task force organized through the International Agency for Research on Cancer, a branch of the World Health Organization. The task force will make recommendations on the monitoring of the thyroid gland after nuclear accidents. Learn more about her incredible year and what’s next for her research in overdiagnosis! A: My interest in overdiagnosis grew from my work with Dr. Gil Welch, dating back to 2004. He was and is a mentor to me, and we developed the work on thyroid cancer together. I have always had an interest in making sure that patients receive care that aligned with their values. The problem of overdiagnosis is particularly intriguing because if people do not understand the concept, they may undergo treatment that, had they understood more about their risks, they might not have elected. Finding ways to solve that problem has been a fascinating focus for me. Q: You’ve studied the experiences of patients who are diagnosed with thyroid cancer but choose not to intervene. What are some of the commonalities you’ve found? A: My goal in going to Kuma Hospital last fall was to understand more about the active surveillance program they have there. They were the first in the world to run such program and collect data on it, and have been doing so since 1993. I wanted to understand their data on active surveillance in more detail. I wanted to understand the patient experience of being on surveillance, and how the program worked operationally. I was able to do all those things and gathered patient experience data through a survey as well as interviews. I also was lucky to get to spend a fair amount of time in the operating room, where I learned a number of new surgical techniques that will advance my own practice in thyroid surgery. My goal is to report what I learned at Kuma Hospital as broadly as possible so that people in the U.S. begin to feel comfortable adopting active surveillance as a method of managing the early thyroid cancers that are appropriate candidates for surveillance. Q: What’s next for you in overdiagnosis research? A: My work on the task force about thyroid monitoring after nuclear power plant accidents has given me a new appreciation for the complexity of public health communication about risk, emergency preparedness, and the problem of overdiagnosis when it comes to policy setting. I hope to be able to continue to contribute in other ways to the broader public health discussion about overdiagnosis. In my next steps looking at the epidemiology of thyroid cancer, I plan to focus on understanding more about why we see such variation in thyroid cancer incidence across geography, age groups, and gender.